Following the demise of the USSR in 1991, and the ensuing collapse of communist regimes in Eastern Europe, widespread population movements took place across Central and Eastern Europe. Whole nations disappeared and (re)-emerged and diasporic transnational ties and belonging have experienced a revival. 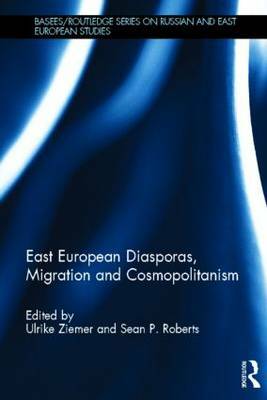 This book explores some of the many different facets of diasporic life and migration across Central and Eastern Europe by specifically employing the concept of cosmopolitanism. It examines aspects of migrants' everyday lives and identities, considers some of the difficulties faced by migrant minorities in being accepted and integrated in the host societies, but also examines questions of citizenship and diasporic politics.